Enrico was our wonderful guide who went out of his way to assure we enjoyed our day! He is very knowledgeable and took us to a wonderful restaurant in Positano! Enrico is an exceptional guide with a pretty good singing voice too! Our day visiting the towns along the Amalfi Coast with Gio was an experience never to be forgotten. Every place was beautiful and seeing them with Gio and listening to him singing happily as he drove us safely along the winding roads was a fabulous day. We feel like we have a new friend in Italy! Wish we could do it all over again tomorrow! My wife and I selected Giovanni for a day trip around Naples, visiting Pompeii and Vesuvius. What a great day. Giovanni put together a really nice itinerary including lunch and wine tasting - but he was also really great fun to be with. We would strongly recommend him for your future tours. We booked a private Amalfi tour through our agency in Ankara.My husband,my teenage son and I had wonderful time from the start.Our guide Giovanni was very friendly,pleasant,knowledgeable,funny,informative and very professional.It was amazing experience and our tour was a pleasure from the beginning. Positano,Amalfi and Ravello were great places to visit as well as Napoli. 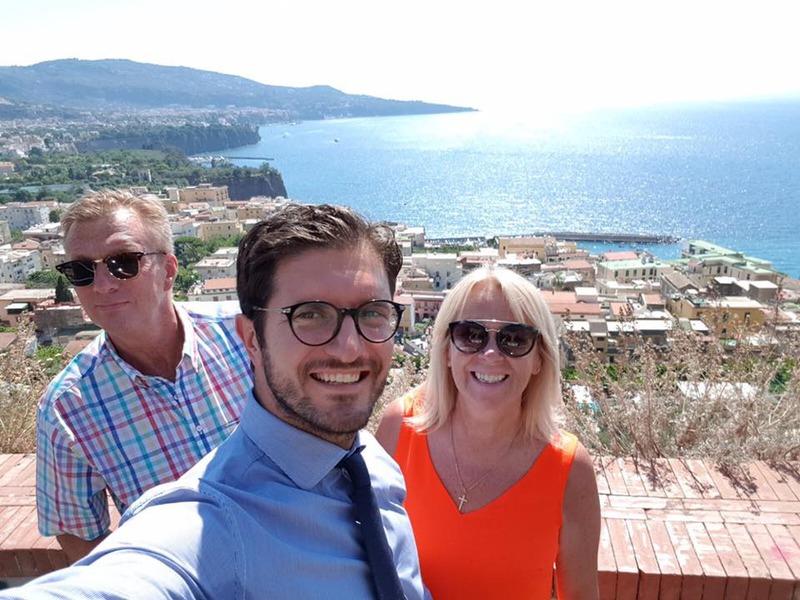 The views were stunning and gorgeous.Giovanni recommended us a local restaurant in Amalfi where we had delicious sea food.We strongly recommend this company as everything was very well organized and we enjoyed every minute of it. Thank you ' Amalfi Tours and many thanks to our tour guide Giovanni who made this tour a memorable experience for us. Brenda, Lori and Pearl were picked up at Naples port by Gaetano on Sept. 10/16. 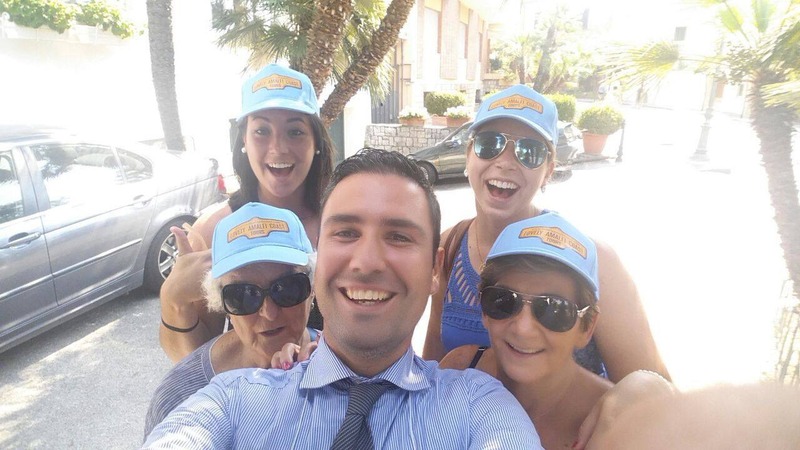 We had a most memorable day on the Amalfi Coast thanks to our driver Gaetano. 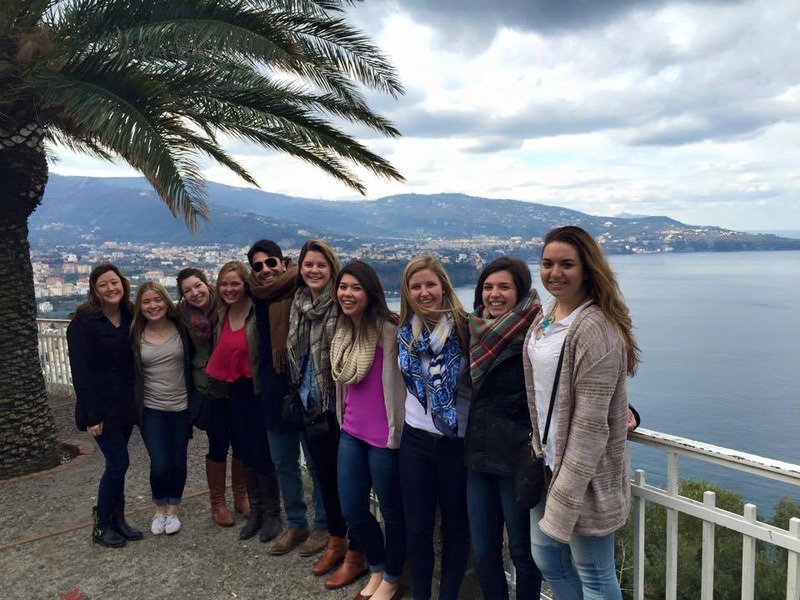 We went to Sorrento, Positano and Pompeii. We stopped along the way for pictures and enjoyed the views. Gaetano had arranged for lunch with a wonderful view of Positano below. He played Andrea Bocelli on the way back to port. It was a great day and would definitely book The Lovely Amalfi Coast Tour again. 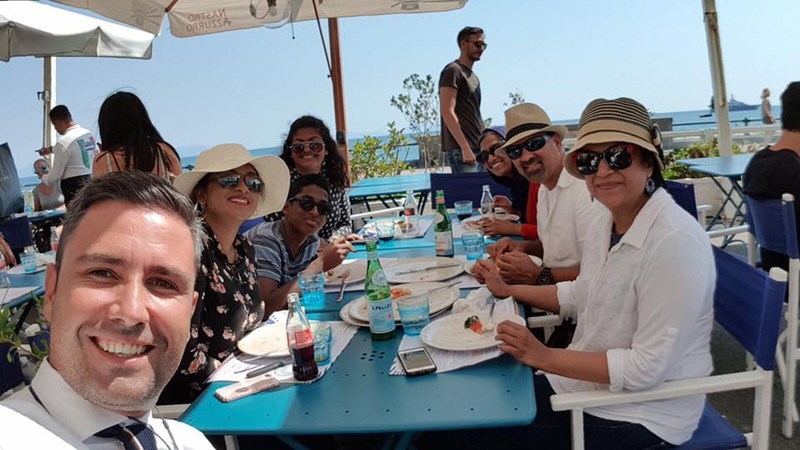 We took the Amalfi coastal tour on 17th June 2016.Gaetano picked us up from our B&B in Naples & welcomed us into a aircondtioned minivan.We had an absolutely fantastic day thanks to Gaetano, visiting Positano, Amalfi where we had a lovely lunch then lastly Ravello.All along the way he would stop to allow us amazing photo opportunities of breathtaking views & while im usually not a good passenger I felt very relaxed & safe with Gaetano driving along those narrow coastal roads!We both felt very relaxed the whole day & Gaetano was very friendly & great to talk to. We thought the Amalfi coast was the most beautiful coastline we have ever seen & will be coming back in the near future. When we do we will be using Lovely Amalfi tours again! A big Grazia to Gaetano for making our day one to remember! We had an amazing day with Enrique to Pompeii, Mt Vesvius, and Naples. He was early to pick us up, polite, personable and we loved him. He drove slow so I wouldn't get carsick, stopped for mazarella cheese, found our guide for Pompeii. He tailored our trip to whatever we wanted to do. We ended up going to Naples for their famous Margerita pizza. The only negative is that I wish we were staying longer so we could spend another day with him! An absolutely wonderful and fun tour!! Was one of our biggest highlights of our trip to Italy. Giovanni Was an awesome and fun guide! He new all the best spots, including where to have a fantastic lunch and great Naples pizza upon return to the train. He let us take our time where needed and showed us the best places to explore. Would highly recommend this tour and can't wait to go back and see more with them! The best way to experience the magical Amalfi Coast. Gio is such a sweet and knowledgeable guide and driver. My husband and I were truly spoiled by this private tour. We only wish we could have had more time to take it all in. Thank you for such a wonderful time. We'll be back! A great day out with Giovani, a lovely young man, full of mischief and entertainment. We really enjoyed his Amalfi coast tour and his company as well. Giovanni took us on tours for 3 days!! He is the best, very knowledgeable with a great singing voice!!!! Looking forward to his trip to Florida to take him on some tours!. Thank you Giovanni for helping to make our vacation special!!! 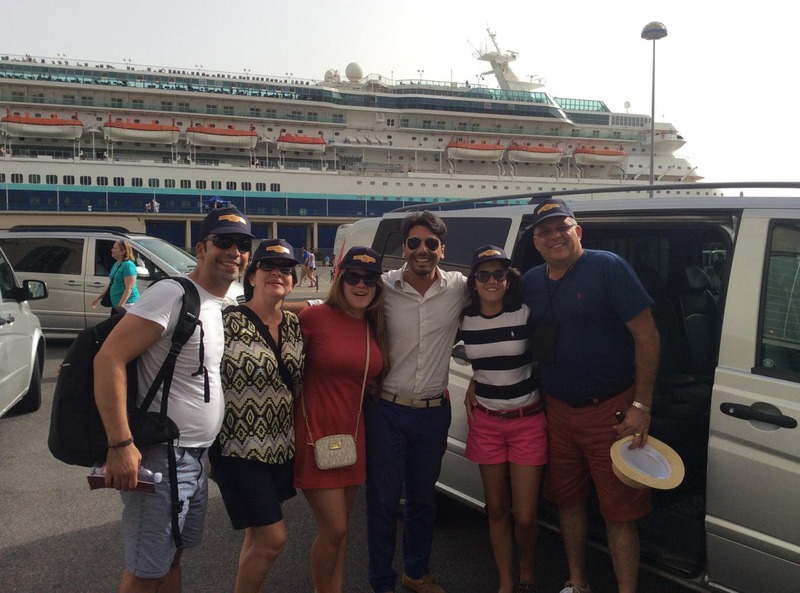 I had read a lot about which company to go with prior to our cruise through the Mediterranean. I'm very pleased that we went with Lovely Amalfi Tours. Enrico was the lucky one to guide us around and my wife and I had such a great day around Sorrento, Positano and Ravello (the highlight if the day was lunch at Graal Restaurant ). Unbelievable food and the view....wow! Enrico was incredibly knowledgable, funny and friendly...and he can sing....oh sol a mio with gusto!.. thankyou for a memorable day we will cherish.